All ministers take a group photo with the governor as well as Prime Minister Narendra Modi. Govind Thakur, who has been elected from Manali constituency, took the oath in Sanskrit language. Virender Kanwar, who won from Kutlehar seat, had earlier offered to resign as a MLA to allow PK Dhumal to become the chief minister. 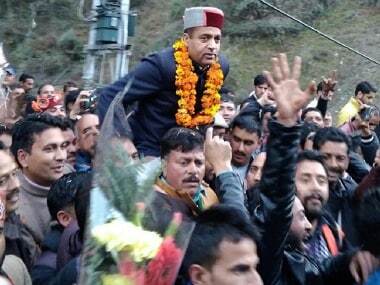 Parmar was elected to Himachal Pradesh Assembly from the Sullah constituency. Chaudhary is the only woman in the 11-member cabinet of Himachal Pradesh. 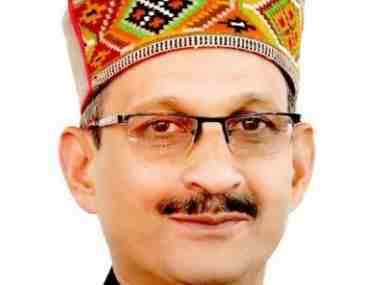 The senior BJP leader has been inducted in the Himachal Pradesh cabinet as a minister. Suresh Bharadwaj interestingly takes oath in the Sanskrit language. Central ministers who are likely to attend the ceremony include Arun Jaitley, Sushma Swaraj, Nitin Gadkari, Rajnath Singh and Thawar Chand Gehlot, reports Financial Express. Yogi Adityanath, Shivraj Singh Chauhan, Raman Singh, Manohar Lal Khattar, Trivendra Singh Rawat, Pema Khandu, Vijay Rupani, N Biren Singh, Devendra Fadnavis, Raghubar Das and Sarbananda Sonowal. Thakur was born in Mandi district in 1965. His father, who was a farmer, had to make ends meet to feed three sons and two daughters. His father and brothers worked in the fields to provide Thakur with an education. Their efforts paid off as Thakur acquired an MA degree from Panjab University in Chandigarh. Thakur was a minister in the earlier BJP government and with the exception of a bypoll he lost to Virbhadra Singh’s wife Pratibha Singh in the Mandi constituency in 2014, his record in the Assembly election has been stellar. By inviting chief ministers of all 18 states (19th state would be Gujarat where the ceremony was being held) and other coalition leaders at the Centre, the BJP showcased the ruling NDA's pan-India spread, this article in Firstpost noted. At present, BJP rules 14 states on its own and reigns in five in an alliance. Which explains the BJP's ability to stitch political and social coalitions and run them successfully. However, this does not seem to be the case in Himachal Pradesh as only 9 to 10 BJP chief ministers are likely to attend the swearing-in ceremony. Vasundhara Raje is likely to not attend the event as she has fallen ill.
Jairam Thakur said that his top priorities would be restoring law and order situation, to do away with the VIP culture, to review all decisions of the previous Congress government in past three months, to minimise wasteful expenditure and to develop tourism infrastructure. The chief ministers of at least 10 BJP-ruled states are likely to attend the swearing-in ceremony. However, Rajasthan chief minister Vasundhara Raje is not expected to make it to the swearing-in ceremony due to fever and an sprained ankle, reported IANS. Thakur's name was proposed by two-time former chief minister PK Dhumal and seconded by Union minister JP Nadda and another two-time chief minister Shanta Kumar. Thakur met Governor Acharya Devvrat on Sunday to formally stake claim to form the new government in the hill state. Thakur, known for his clean image and a subdued, non-aggressive image, won from Seraj constituency in the Assembly polls defeating Chet Ram of Congress. 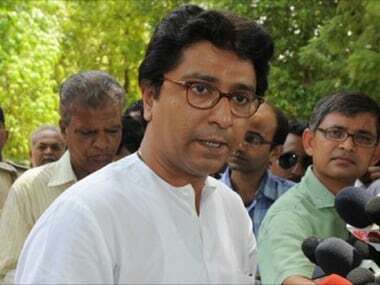 According to a senior BJP leader, one of the reasons why the 52-year-old BJP leader was selected for the post was that the party would not need to go through a by-election. 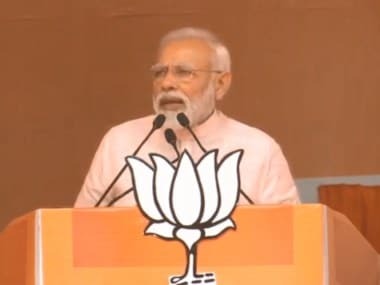 The swearing-in ceremony will take place at 11 am at Simla's historic Ridge Ground, and Prime Minister Narendra Modi, party president Amit Shah and chief ministers of at least 10 BJP-ruled states are expected to attend. Jairam Thakur, a five-time MLA from the Bharatiya Janata Party (BJP), will be the new chief minister of Himachal Pradesh, and will be sworn in on Wednesday. Jairam Thakur will be sworn-in as Chief Minister of Himachal Pradesh on Wednesday. The ceremony, which is expected to be brief, will be held at the historic Ridge Ground in Shimla at 11 am, reported NDTV. 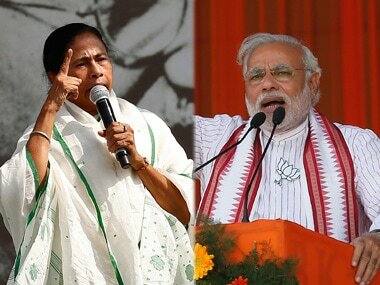 Prime Minister Narendra Modi, BJP president Amit Shah and chief ministers of at least 10 BJP-ruled states are likely to attend the swearing-in ceremony. Elaborate security arrangements are being made for the swearing-in ceremony and the prime minister is likely to address people at the Ridge. The five-time MLA from Seraj in Mandi was elected leader of the BJP legislature party on Sunday after the party ousted the Congress from power in the state by winning 44 out of the 68 seats in the Assembly polls. The 52-year-old Thakur is the youngest to head the government and belongs to the Rajput community, which has a significant presence in the hill state. "The cabinet will have both experienced and new faces," Thakur told reporters here in his first official interaction with reporters a day after being elected as the BJP Legislature Party leader in the Assembly. However, Thakur, a confidant of Union Health Minister JP Nadda, refused to comment on the size of the cabinet and to reveal the names of his cabinet colleagues. Thakur said that his top priorities would be restoring law and order situation, to do away with the VIP culture, to review all decisions of the previous Congress government in past three months, to minimise wasteful expenditure and to develop tourism infrastructure. The likely new ministers in his 11-member cabinet are former Cabinet ministers Rajeev Bindal, Kishan Kapoor, Sarveen Chaudhary, Mohinder Singh, Congress rebel Anil Sharma, Narinder Bragta and Ramesh Dhawala and new faces could comprise Gobind Thakur, Vikram Jaryal, Rakesh Pathania and Rajeev Sahjal, IANS reported. Sarveen Chaudhary, if inducted, will be the lone woman minister in the cabinet.